Last month, I presented at the 2017 ISA FPID symposium (food and pharmaceutical industries) in Framingham, MA on the Future of Automation. While the theme topics ranged from analytics, to serialization/track and trace, to mass production and continuous automation and IoT; people seemed particularly interested in the new generation automation system discussion from the Open Group’s Open Process Automation Forum. This is, no doubt, partly because most folks were largely unaware of the initiative. The Initiative was initially announced at the ARC Industry Forum in Orlando in February 2016, with an update provided at our recent forum in Orlando in February 2017. Since ARC has written a lot about this initiative, I thought it would be a good idea to reference some of this information. The Open Group is developing a new open automation system based on the FACE standard (Future Airborne Capability Environment). FACE, developed for the aeronautics market (previously characterized by proprietary and highly customized solutions), “ensures interoperability and reuse of military avionics software across a common development platform.” The Open Group initiative was started by ExxonMobil (working with Lockheed Martin) to create a modular and open automation system, using FACE as the model for their new open system. The Open Group, which is managing the new standard vision for open process automation systems, is on a path to have automation system products in place based on the new standard available by 2020. At the ARC Forum in Orlando earlier this year, we learned more about how Open Process Automation initiative is focused on developing standards-based, open, secure interoperable process control architecture Representatives showed a reference architecture that combines L1 through L3 functionality. MES functionality will be included as part of the operations platform. The Open Group organization is also working with ISA to make sure that standards are incorporated in the Open Group’s Open Process Automation applications. The group is still interested in obtaining additional users, industries and support to participate in this major automation initiative. If you have an interest in participating or want additional information about the initiative please contact Harry Forbes at hforbes@arcweb.com or The Open Group (www.opengroup.org/open-process-automation). 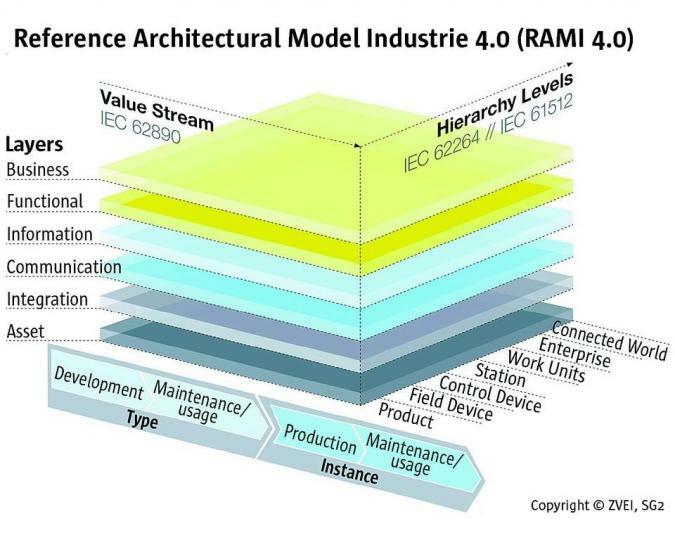 The I4.0 reference model shown here is quite similar to ARC’s older CMM or collaborate manufacturing model. Note that manufacturing automation is represented by a whole axis and is critical to the vision. The “NAMUR Open Architecture” or “NOA” was announced in 2016. This is a vision for how to apply the Industrie 4.0 initiative to the process-oriented industries of NAMUR members. NOA architecture envisions a set of additional services that would be added to the installed automation systems using multi-vendor protocols such as OPC UA. In contrast, the ExxonMobil objective is to replace existing systems. NOA envisions that installed systems will be enabled by the development of new and more common monitoring and optimization applications based on the common, multi-vendor interfaces. This may be a more realistic goal for the future of automation. ARC’s MES supplier/technology selection guides could be helpful for companies considering a next-generation MES solution. We’ve also prepared a selection guide for discrete manufacturing companies. 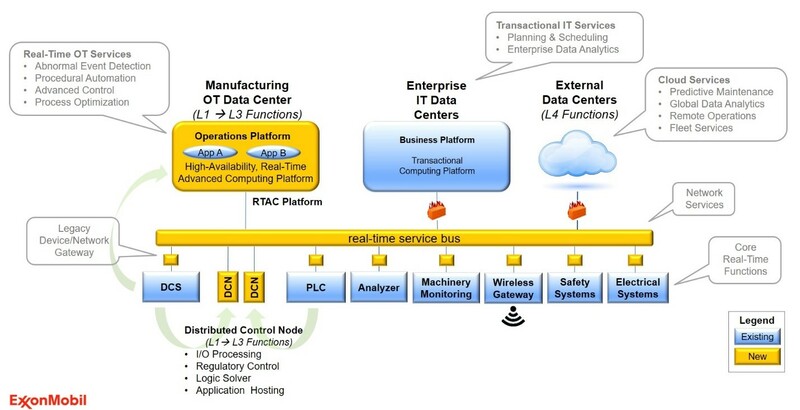 Here’s that link: https://www.arcweb.com/press/select-manufacturing-execution-system-software-discrete-industries-using-arcs-new-guide.